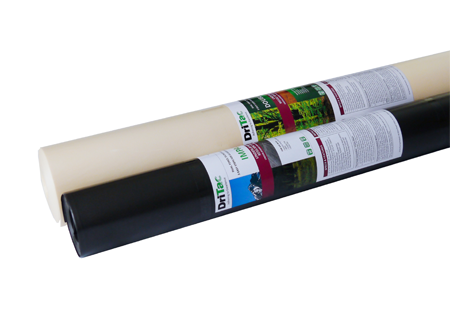 August 2017 – DriTac Flooring Products is introducing a line of eco-friendly, acoustical abatement underlayment for residential and commercial flooring applications: DriTac 8301 Impact 1mm for resilient flooring installations and DriTac 8302 Double Impact 2mm for wood and laminate flooring installations. These lightweight flooring underlayments incorporate DriTac’s Total Sound Reduction System (SRS) complete with a lifetime warranty when used in conjunction with approved DriTac flooring adhesives in ‘double-stick’ applications. DriTac’s SRS was developed with dual force, silent-fuse technology, affording customers an optimized sound abatement system covered by DriTac’s single, all-inclusive warranty. DriTac 8301 Impact and DriTac 8302 Double Impact are technologically advanced underlayments that grant exceptional sound control properties, providing industry leading footfall performance with anti-crush technology designed to attain a cushioned, quiet and comfortable flooring system. Both products are available in lip and tape and non-lip and tape versions. The lip and tape (8301LT and 8302LT) system offers a built-in vapor barrier with safeguard seaming. 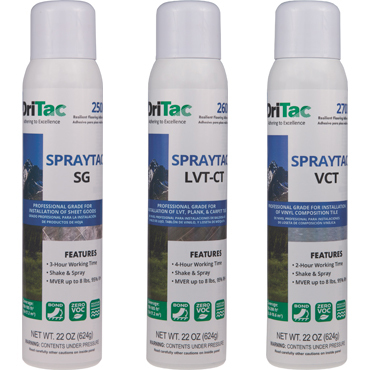 DriTac 8301 and 8302 contain negligible VOC content that measures below quantifiable levels, providing the green community the best sound abatement choice for their eco-friendly projects. These underlayments exceed every standard for indoor air quality, are hypo-allergenic, mold/mildew/bacteria resistant and devoid of toxic additives. 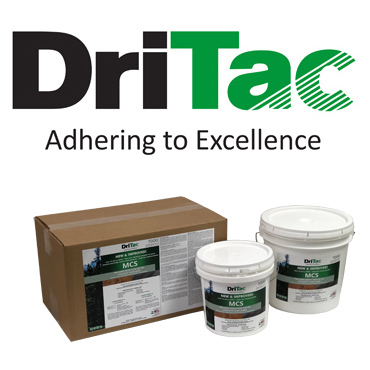 DriTac Flooring Products, LLC is celebrating over 60 years as one of the most experienced manufacturers of environmentally friendly flooring adhesives in the market. 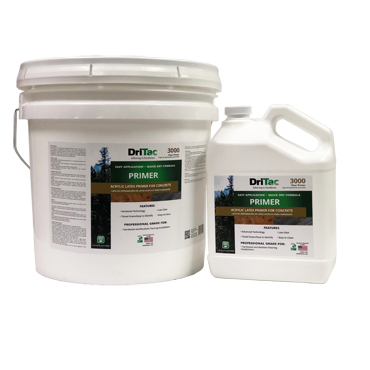 DriTac is committed to manufacturing eco-friendly products for the flooring industry with a comprehensive line of premium “green” zero VOC and zero solvent adhesives and installation solutions that help contribute credits towards LEED certification.